Hi and welcome to my blog on zero waste and minimalism! I’m Laura and I live in the southwest of Germany near the French border. I started avoiding plastic after I had found Beth Terry’s blog My Plastic-free Life in 2012. 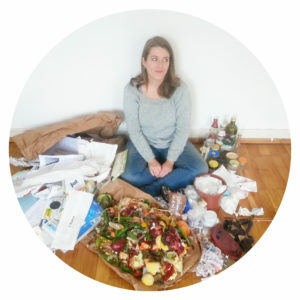 Later on in my no-plastics journey I came across Béa Johnson’s blog Zero Waste Home which helped me to declutter and to cut down on any kind of waste in my home. I’ve decided to start this blog as a place to document my ongoing journey towards zero waste and to possibly help others to start a less-waste journey of their own.